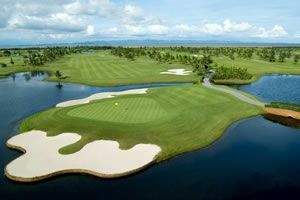 Within its 27-hole layout, Tiara Melaka contains the superb Woodlands-nine, a good nine-hole loop of undulating, through the jungle golf. With dense jungle lining the way, and a few monkeys probably looking on, this immensely attractive rainforest environment contains many pleasantly undulating and very picturesque holes. 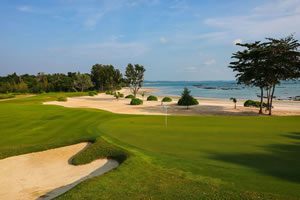 The par-4 3rd is a challenging gem, requiring a strategic decision on the tee, either lay-up and leave a longer approach shot, or drive over a stream that diagonally crosses the fairway. The Meadow-nine gives substantial support to the Woodlands; although very well laid out, it doesn&apos;t quite provide the same level of naturalness or tropical scenery. The best stretch of holes on the Meadow-nine is the final three, with plenty of water to cross, towering trees avoided (on the fairway at 17) and a lake missed along the right side of the 18th. 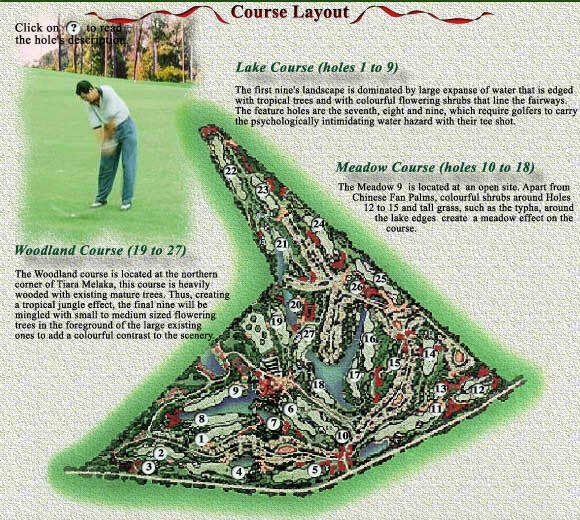 The Lakes-nine, although containing some enjoyable and testing holes, is not quite in the same league as the Woodlands or Meadow, the combination seeing most tournaments . 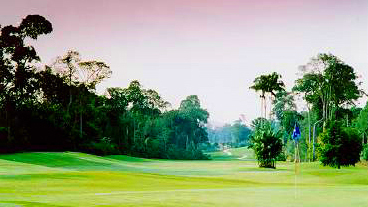 Although the immaculate greens are large, the fairways vary from good-width to testingly tight. Maintenance at Tiara Melaka is generally good. If improved a few notches, this is a layout that could challenge for top honors amongst Malaysia&apos;s very best. 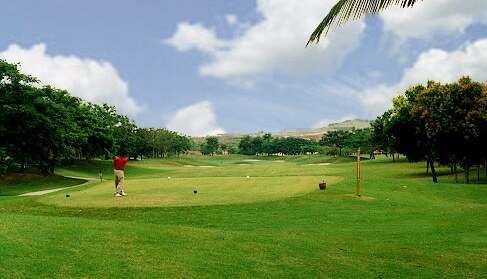 Have you played golf at the Tiara Melaka Golf & Country Club and took some nice photos that you would like to share with other golfers? Send them to us and we may upload them here. Thank you in advance!